Are you frustrated by poor communication and waste in healthcare related processes? An introduction to Lean thinking may be just what your team needs. Lean has recently transformed the way many hospitals and health systems operate, leading our team to create an introductory training with examples and exercises drawn from our Lean experiences in healthcare. Lean thinking refers to a philosophy and management strategy focused on customer value and respect for people. This workshop provides those who lead hospitals, health centers, practices, and related service industries with an introduction to Lean thinking and continuous improvement tools for healthcare. The first half of the day will cover the principles of Lean thinking and provide several exercises so participants can compare traditional processes to Lean processes. The second half of the day will share an overview of some of the important Lean tools and challenge the class to identify applications for Lean in their organization. The instructor has 20 years of experience in leading organizational transformation and uses engaging exercises and examples to share from his experiences implementing Lean improvements at hospitals and other healthcare practices. 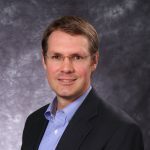 Steve Musica: Steve is a certified Lean Six-Sigma black belt with over twenty-years of experience in process improvement and project management methods. Steve has led or supported improvement projects for health practices and hospital departments including the Emergency Room, Laboratory, Surgical Services, Scheduling, Diagnostic Imaging and the Pharmacy. He learned Lean with some of the best organizations in the world and now uses his knowledge and experience to help others transform their teams and achieve higher quality at lower costs.